With the recent announcements from Sony that The Sinister Six would be scheduled for a November 11, 2016 release and that The Amazing Spider-Man 3 was pushed back to 2018, and with Alex Kurtzman's word that Sony plans to release the Venom movie at least after Sinister Six in 2017, Venomaniacs are suffering another case of doom-and-gloom as Sony fumbles yet again with its production plans for the long-awaited spinoff. The original Venom movie pitch, which was never officially announced as the current iteration had been, died anticlimactically with the Sam Raimi-helmed Spider-Man movie franchise starring Toby Maguire, Kirsten Dunst, and James Franco. 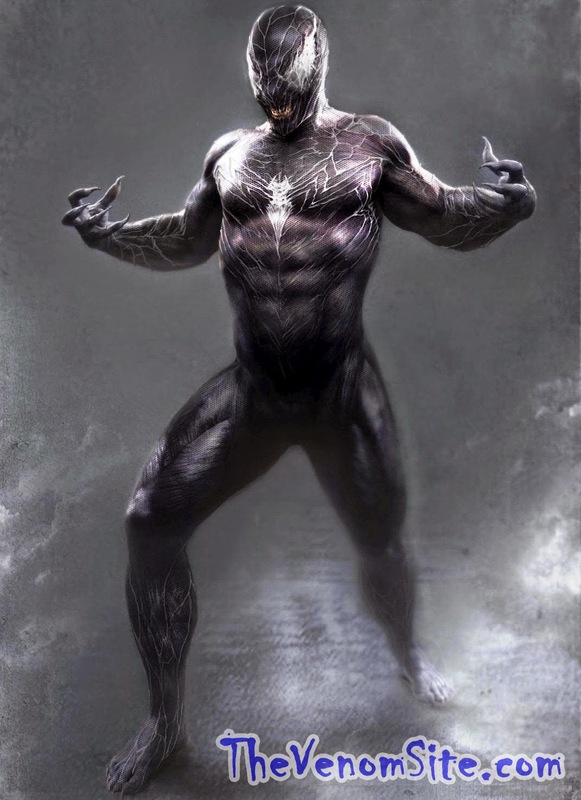 Those of us who remembered the absolute giddiness of the possibility of a Venom movie resurrecting and redeeming the embarrassment that was Topher Grace's Eddie Brock Jr. also remember that all-too-familiar empty loss as we were again cast into the void of Venom purgatory we know too well from Marvel's handling of the character in the comics. 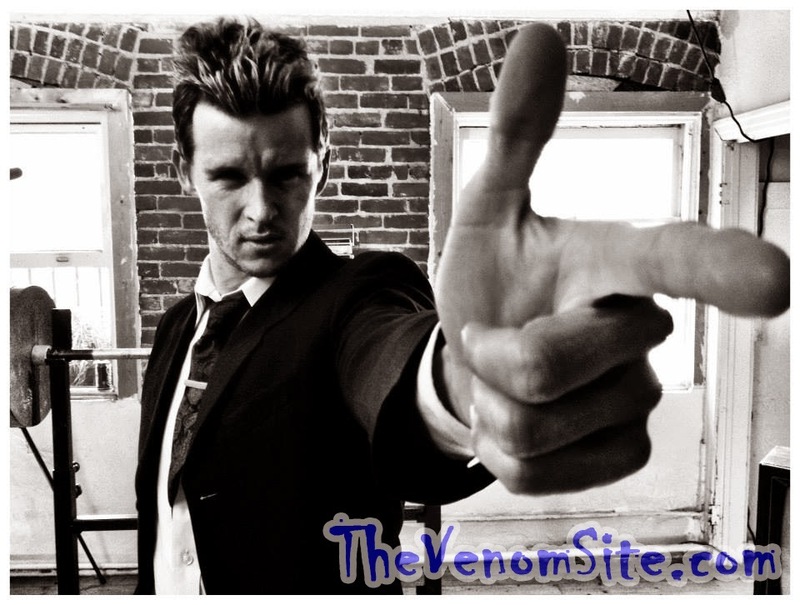 I was, like I'm sure most other Venomaniacs were, ecstatic when clever Easter Egg hunters unearthed an official press release document from Sony within The Amazing Spider-Man 2's viral site back in December 2013 announcing Sony's plans to produce the Venom and Sinister Six movies to expand the franchise into an encompassing universe akin to the Marvel Studios cinematic universe. With the recent announcements of schedule movements and overall franchise uncertainty, the bitter sting of having the Venom movie production fall through again lingers above my head, if not any other Venomaniacs' respective heads. Taking this news into consideration and my own anxiety for a Venom movie to become fully realized, I've decided to write up a fan cast of who I'd like to see fulfill the character roles for the move as well as a plot outline of what I'd wish to see happen in the movie. I've already deliberated my ideal plot on Twitter once before, but it needs an update with the scheduling news. Now, I know that Andrew Garfield's contract has him penned for at least The Amazing Spider-Man 3, but news is going around that Sony offered him a new contract that will have him play Spider-Man until 2020, so my pitch below is still feasible with his conclusion in the cast. So without further ado, I present to you my fan cast and plot—Part 1. Eddie Brock is a journalist blogger working for the Daily Bugle (canon to the viral Tumblr) and an avid Spider-Man fan. He was born and raised in San Francisco, CA by his cold and unloving father, who brought him up as a single parent after Eddie's mother died giving birth to him. His was not an accommodating childhood, and he escaped his hometown for New York City to start a new life. He attended Empire State University, where he met his loving wife, Ann Weying, and completed a Bachelor's in Journalism. He was fresh out of college when Spider-Man made his worldwide debut, and since then Eddie has followed his every move and praised his good deeds on his Bugle-sponsored blog, The Web Site, in friendlier and professional opposition to Chief Editor J. Jonah Jameson's own scathing newspaper editorials. He does relatively well enough and makes a decent buck from his freelance blogging, but Jameson downplays the blog so much in its promotion as to significantly restrict traffic to a select group of paid subscribers, and has stolen The Web Site's limelight for his own immensely popular editorials. Despite his blog's low ratings, Eddie passionately carries out his mission to paint the most accurate picture of Spider-Man's heroics for his audience, which he hopes will return him his much desired attention and praise. Eddie's married life with Ann is anything but perfect. They both fell madly in love with each other when they met in college, and married only seven months after their first date. They both support each other through and through with their careers. Ann pursued a criminal law internship after graduation with a reputable firm in Manhattan and brings in the funds that support the young couple in their fair New York loft, while Eddie trudges out a relatively meager living from his freelance career. Eddie may have won her over early on with his ambitions and charisma, but as time went on, she became disillusioned. Her work and his journalistic adventures tracking down Spider-Man keep them too busy to see each other as often as they'd like, and Ann's stress with being the primary breadwinner takes its toll on their marriage. Despite their financial issues and Ann's dwindling faith in his career goals, Eddie still loves her as much as he did when they first met. Through Eddie's escapades following Spider-Man's story, he began to uncover the secrets of Oscorp and its connection to the hero. He was one of a few people who unearthed Oscorp's connection to Aleksei Sytsevich when the Russian mobster fought against Spider-Man in the robotic armored Rhino suit during his armed robbery (as seen at the end of The Amazing Spider-Man 2). Eddie's inquisitiveness and close proximity to the hidden truths of Oscorp earned him the attention of Gustav Fiers (the Gentleman), Harry Osborn's shadowy manager of the Sinister Six project. However close Eddie came to the truth, though, the Gentleman was always one step ahead of him. When Electro broke free of the Ravencroft Institute in the events of The Amazing Spider-Man 2, incarcerated criminal Cletus Kasady used the opportunity to make an escape for himself. A true psychopath and mass murderer, Cletus narrowly dodged a death sentence when he was caught prior to the breakout, and was instead opted for research and rehabilitation at the institute by his defense attorney—a controversial case in which Ann was deeply involved. As soon as Cletus returns to Manhattan, he sets out on a killing spree targeting both random victims and key players to the court case that incarcerated him. Cletus is able to cleverly evade Spider-Man's grasp using his chaotic antics, and often forces the hero into making impossible moral choices to save those whom Cletus puts in immediate danger. One such situation occurs when Cletus uses Ann to escape from Spider-Man. Eddie visits Ann at her firm in the city to take her out to lunch, but is interrupted when Cletus comes in guns blazing and mowing down the office workers. He's about to kill Eddie when Spider-Man swings in and saves him, so Cletus opts to take Ann as a hostage to make his escape. When Cletus threatens to push Ann out the window to fall to her death, Eddie leaps to save her, forcing Spider-Man to push him out of harm's way and causing Cleuts to shove her out the window. Spider-Man dives after her as Cletus makes his escape, but falters during a flashback of Gwen Stacy's death, causing him to miss saving her. There you have it: Eddie's origin and motivating event. Check out Part 2 next week for the continuation of my plot pitch for the Venom movie, where I delve into the really fun stuff! Liking my idea so far? Have your own plot suggestions or fan casts? Leave a comment below and let me know!